Would you like to have your customers have quick and easy access to information about your business? Want another way to draw in business? One of the more popular ways to do this today is to create a website. Websites range from the static pages that just inform potential customers about your business to a tool that takes orders and can be the main way your customers do business with you. Creativity on websites has grown greatly over the last few years as well. You now have animations, movies and interactive applications meant to keep the viewer's interest. 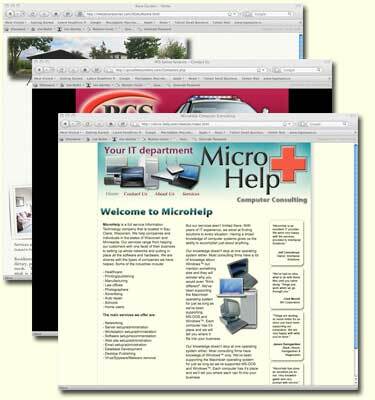 MicroHelp can help you with all steps that are needed to get you up and running on the web.